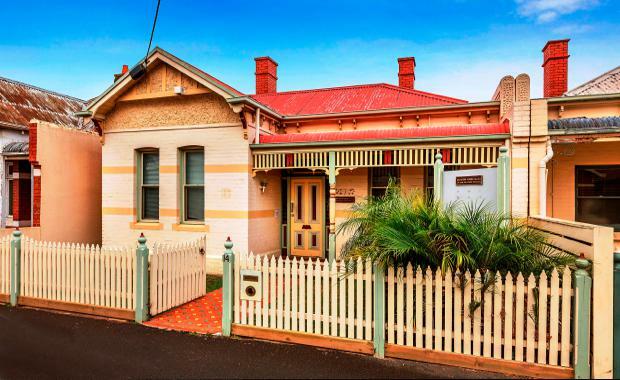 A period residence which has been used as a medical clinic located on a superior allotment at Moonee Ponds in Melbourne’s inner north-west has been sold at auction by Ray White Commercial for $1.234 million. The property at 14 Shuter Street, Moonee Ponds, was sold to a local developer by Brett Diston and Roland Rentz of Ray White Commercial Victoria on behalf of a private owner. Mr Diston said the property has a land area of approximately 307 sqm and offers a myriad of development options. “This is a prime site that offers excellent flexibility for future applications, including renting out as a commercial premises, redevelopment or restoration of the property to a family residence, subject to council approval,” he said. Mr Rentz said the building floor plan was ideally suited to medical, veterinarian or consulting operations. “The property was previously leased by a medical company and houses four well-equipped consulting rooms, ample reception/waiting room zone, small kitchenette and two toilets,” he said. “Other features include a wide hallway, period highlights such as tall ceilings and three open fireplaces, and hydronic heating and ducted cooling. Mr Diston said the exceptional location of the site was an additional highpoint. “It resides just metres from the vibrant hub of Puckle Street with public transport, schools, restaurants and parks all within walking distance,” he said.